The Prescott is available in Black or Tan Microsuede with a suede sole in Medium Widths. It has a 1-1/2″ Heel and has a 1/2″ shank which allows for support and flexibility. UCWDC Approved. NOTE: European to American Sizing is approximate. The information is shown as a guide only and not a guarantee. Actual fitting may vary. If upon receiving the boot it feels a bit snug, you may take out the top (2nd) innersole until such time as the boot stretches and then you can reinsert the innersole. If the boot is a bit wide, you may add additional innersoles. 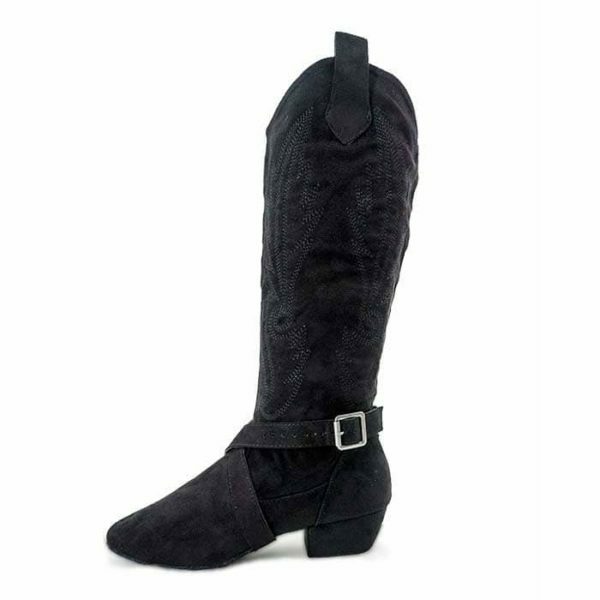 (See footwear accessories for purchasing additional innersoles or boot straps).